Upon completion of this program she received a Diploma of Ministerial Studies. Currently she is studying Theology and Leadership at Regent University. She is also a licensed minister at the Spirit of Faith Christian Center Church where she worships and serves with two outreach based ministries. Jennifer began motivational speaking in 2006. Since 2006 she has been speaking at various non-profits, panels, conferences, universities, and churches across the nation. 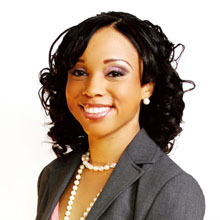 In 2009 she partnered with 2 of her friends to form the company Unleashing Potential LLC. This organization specializes in Purpose and Leadership Development, as well as women and youth empowerment. Some of her workshops to date have been “Pursuing Purpose with Passion,” “The Mind and Heart of a Princess,” “Fearfully and Wonderfully Made,” and “Sexology.” She is also a model and volunteer for the Worth the Wait organization founded by her mentor Dr. Lindsay Marsh. Her writing has been featured in Jubilee Magazine’s July 2008 issue, and WOW Magazine 2008/2009 Winter edition. Her first book Dried Tears, A Woman’s Guide for Overcoming is scheduled for a 2011 release! For personal enjoyment Jennifer is a blogger at www.unleashingyou.org/blogs/jenn, and she loves to travel, model, write, read, and shop!